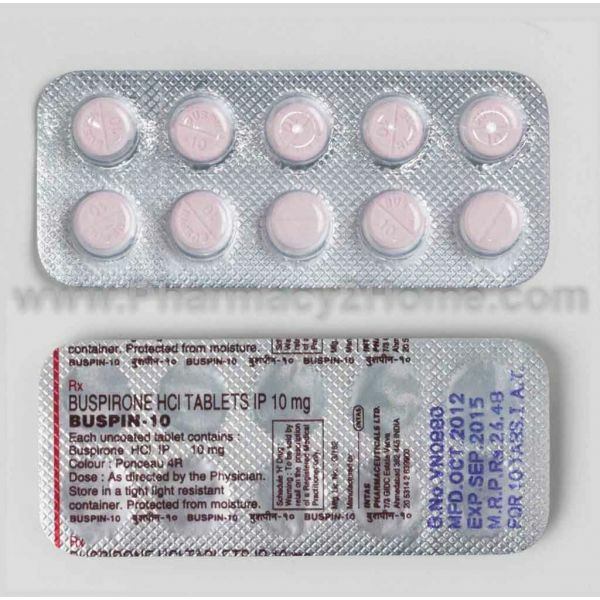 Buspin belongs to the azapirone chemical class that includes anxiolytic psychotropic drugs. Common use of this drug is treating the generalized anxiety disorder. It is basically an anti-anxiety drug. It is sold under the brand name of Buspar in USA. In 1972, a medical team at Mead Johnson first identified Buspin. Bristol-Myers Squibb got the approval of making Buspin in 1986. The mechanism of the action of Buspin have not been yet determined completely, but speculations are that it affects the chemicals in the central nervous system. These chemicals are norepinephrine, serotonin, dopamine and acetylcholine. Consult your doctor for every little detail that you want to know about Buspin. Take great care while taking the drug and keep in contact with your doctor and follow the instructions with great intent. Take Buspin for more than 3 weeks in order for Buspin to react efficiently. To get maximum benefit, take the drug as prescribed by your doctor. Patients should continue taking the drug as long as the doctor suggests. Even if you find no improvement in your condition, do not stop taking the drug without the consent of your doctor. 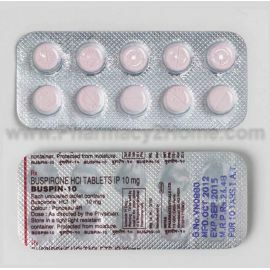 Regular dose of Buspin is 10-15 mg per day. This dosage is not meant to be taken at a time. Divide this dose in two or three times during the day. For instance, you can take 5 mg in the morning, 5mg at noon and 5mg in the evening. The dose is prescribed differently for patients. For special patients a dose of 10-30 mg per day is necessary. Try to avoid overdosing the drug, but if by accident you overdosed it, then call the medical emergency help line immediately. A missed dose must be taken as soon as possible. Make sure that you do not overdose yourself to make up for the dose you missed. It is better to consult the doctor. Buspin may cause drowsiness and mental impairment sometime. Therefore, patients should be properly aware about the drug and they should avoid driving or handling machinery after taking the drug. The listed side effects could appear due to Buspin. It should be avoided if you have already taken MAO inhibitor. How long should you take Buspin 10 Mg? Take drug as prescribed by your doctor and before leaving the drug, consult your doctor.